Clowns are not around to scare the crap out of people, but sometimes they do. They really just want to make you giggle and have fun. But, let's face it clown phobia is a real thing. People lock their doors, and pull the covers over their heads to avoid the cheerful entertainers. 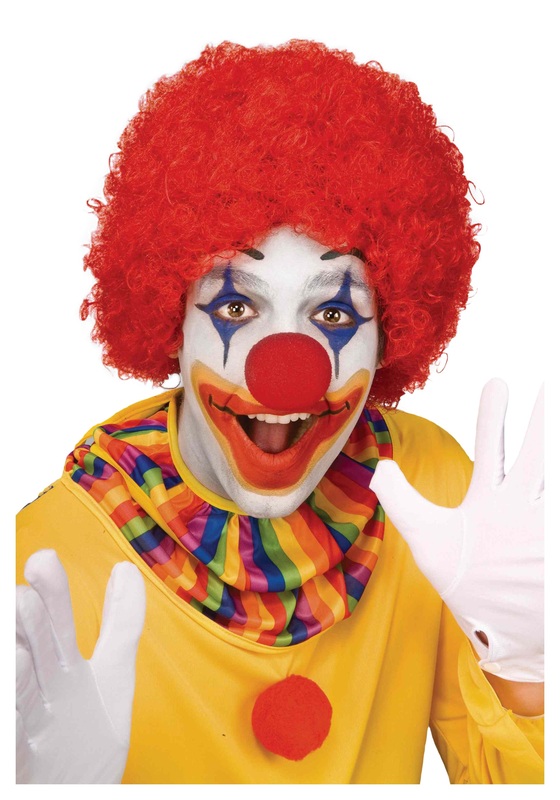 Let's calm down and join our fellow humans, if clowns are humans, and make some cute balloon animals. Then, we can learn how to dance the jig in shoes that are over-sized. 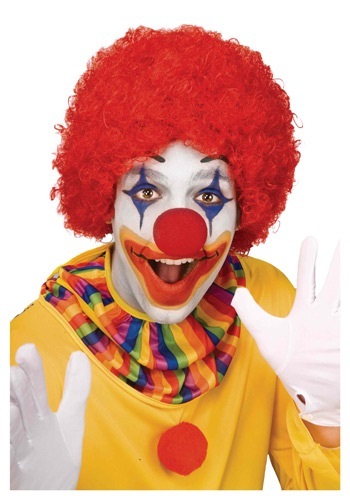 You can bring out your inner joyous clown in the Red Clown Wig. Don't worry, no clowns were harmed in the making of this beautiful red afro, the wig contains 100 percent synthetic hair. The mesh net lining allows the wearer extra comfort while they ride unicycles, and clown around.